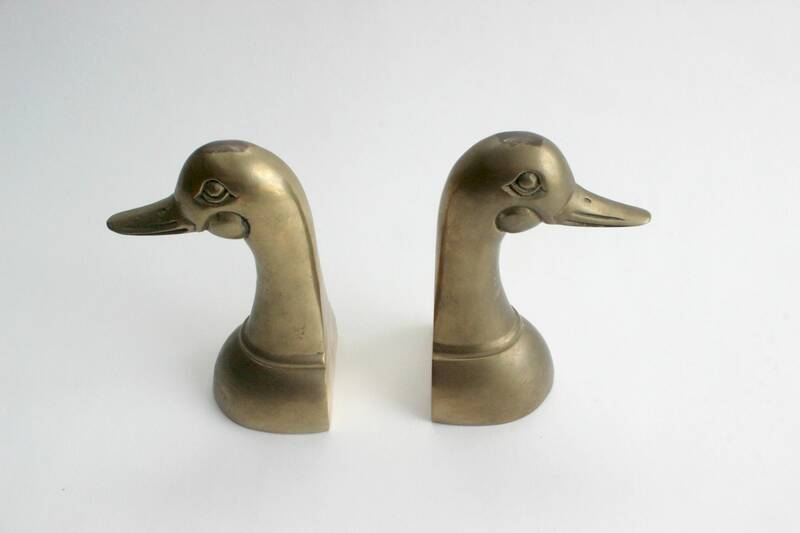 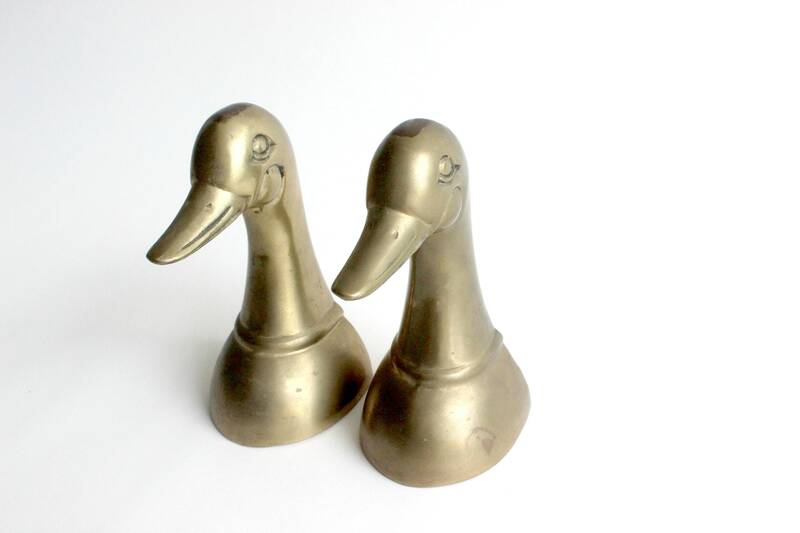 Pair of Mid Century Modern brass duck bookends. 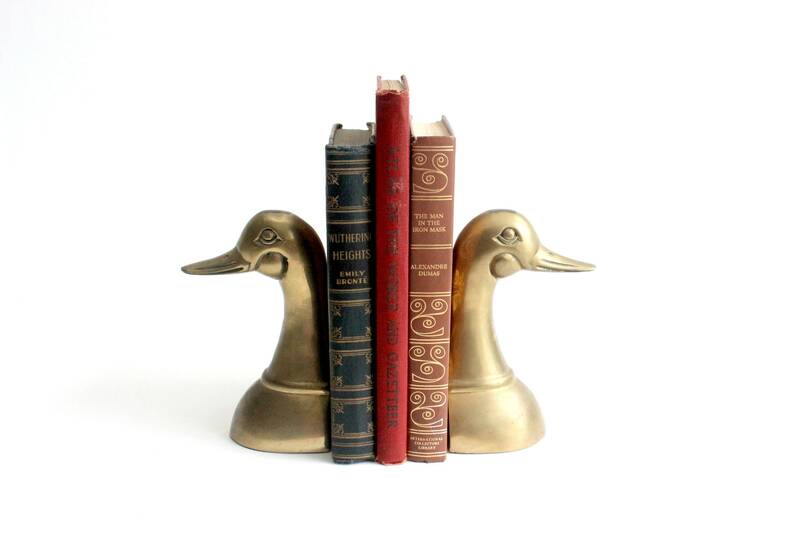 Perfect for a bookshelf, library or home office! 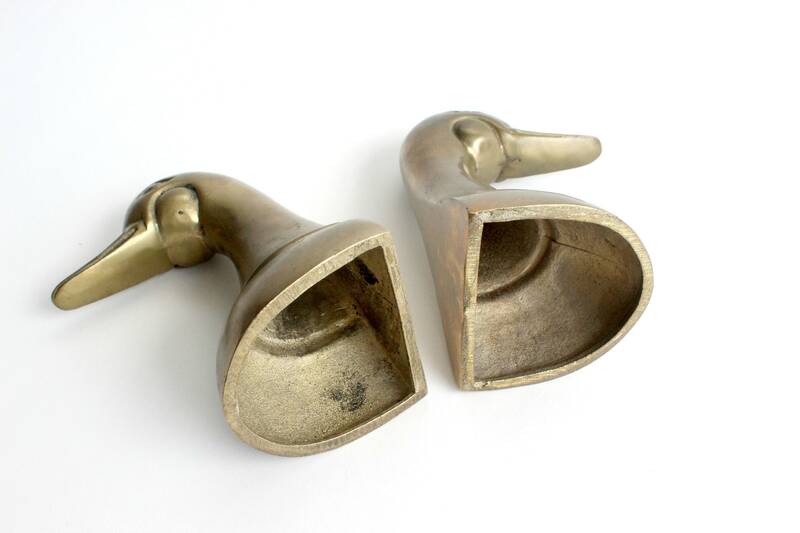 Excellent vintage/used condition. 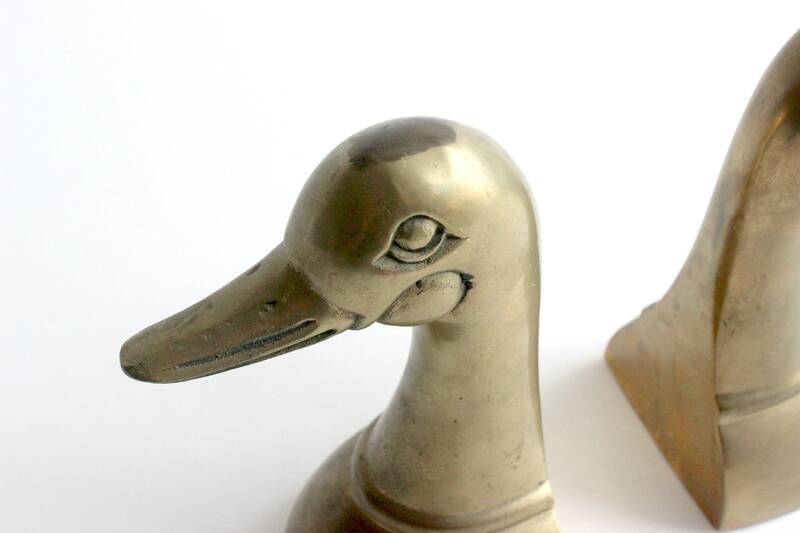 Polishing may be desired. 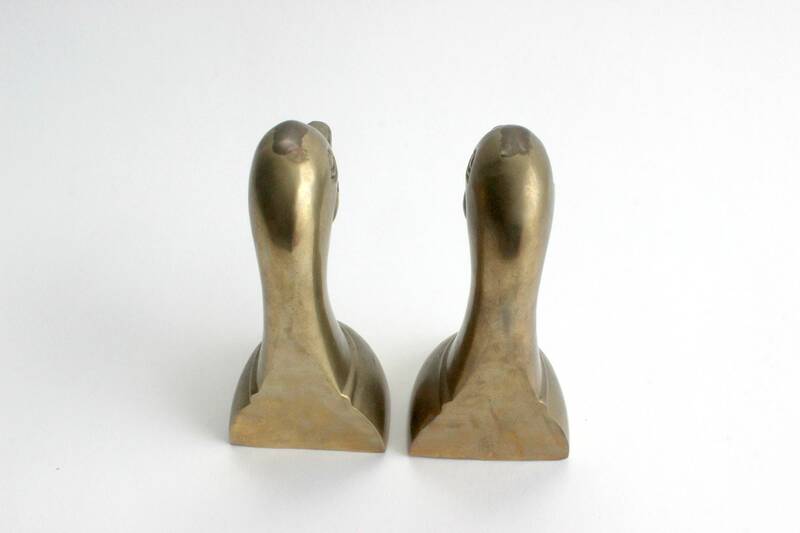 Measures 4 inches wide (at the widest) and 6.5 inches tall.